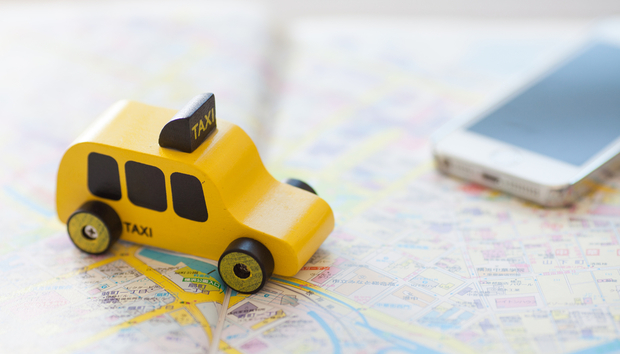 In December, Brazil’s Easy Taxi and Colombia’s Tappsi, two of Latin America’s biggest taxi hailing apps, announced a new merger. While both companies will maintain their own branding, the consolidated company will gain a much larger market share in Latin America. They are operating in dozens of cities across of the region and have 500,000 drivers on their books, carrying out eight million rides a month according to figures provided by Easy Taxi. In Colombia especially, this has a 90% market share. Compare this with other countries and it is very rare that Uber, the world’s dominant transport app, isn’t the biggest service. Secondly, Easy Taxi already has a presence in five cities in Argentina, a country where Uber has not even launched yet. However, this is something that remains on the company’s radar and could happen soon [Spanish]. Taxi hailing and ridesharing come in all forms across every continent and region but LatAm is shaping up to be quite the battleground. Alliances and mergers are becoming commonplace in an increasingly crowded global market for taxi hailing and ridesharing apps. Lyft (which recently scored $500 million in funding from General Motors), China’s Didi Kuaidi, Singapore’s GrabTaxi, and India’s Ola founded the Rides Everywhere partnership to share business and technology practices. In Latin America, Uber has made its own attempts to broker deals with other companies. In 2014, it aligned itself with American Movil, the phone carrier owned by Mexican telco tycoon, Carlos Slim, to bring its app directly to users in Mexico, along with discounts. Mexico has proven to be a strong market for Uber. Easy Taxi is the leading hailing app in nearly all markets in Latin America, explains Dennis Wang co-founder and co-CEO of Easy Taxi, with the exception of Mexico where Uber maintains this strong grip. “In other markets we are three to five times bigger than Uber so [we’re] definitely the leading taxi app here in Latin America,” says Wang. He adds that the new consolidation of Easy Taxi and Tappsi will help the companies embed themselves deeper in LatAm and maintain their number one spot. Uber is the company synonymous with taxi and ridesharing apps and protests against the company’s aggressive expansion and business practices have become commonplace. From London to Paris and New Delhi to Melbourne, taxi unions and lawmakers have excoriated Uber for avoiding regulations and skirting the line between tech company and transport company. This is no different in Latin America, which has a deeply entrenched traditional taxi sector across its countries. In Rio de Janeiro, taxi drivers blocked roads during the bedlam of rush hour traffic in protest against the service. Uber responded brazenly with free rides for the day. In Colombia just last October, Bogota taxi drivers carried out a similar protest against Uber over what they called unfair competition and profits leaving the country. Other protests have led to local governments taking action. Last July Mexico City became the first jurisdiction in Latin America to introduce regulations against Uber and other taxi or ridesharing apps. The government brought in a 1.5% levy fee – annual charges paid by the driver, as well as minimum vehicle fees – all in the hopes of creating a level playing field between the old and new sectors. Unsurprisingly Uber wasn’t happy. Easy Taxi always follows local legislation, says Wang. This is a different model to Uber’s attitude of ‘act now and ask for forgiveness later’. Latin America is one of the fastest-moving regions in the world with regards to legislation in this area explains Wang. The consolidation of Easy Taxi and Tappsi will create one fiercer entity to take on Uber and other apps, like Spain’s Cabify, which is pushing strongly into LatAm as well. On their own, the Easy Taxi and Tappsi apps were already two of the most popular hailing services in the region. The two companies are also both native to South America and it is one of the few regions where Uber doesn’t quite have its usual grip on the market, compared to North America or Europe. “We’re most focused now into growing the penetration in the key cities and also going to second and third tier cities, cities that support a system like ours,” concludes Wang.